I really sound like a tree hugger, I’m afraid. I don’t exactly love trees enough to hug them, but I do like animals a lot (except, obviously, for icky ones and bugs). I don’t really have any pictures from the event, but I’ll just use some from the Google search engine. Wait- before I say anything else, you should know about the Museum of Natural History program on whales… actually, it was hosted by the World Science Fair, and they just used the museum for their showcase. I don’t think I’ve ever felt so sorry for blue whales and other whales in my life (I’m purposely ignoring the fact that I barely knew they existed before, in a manner of speaking). 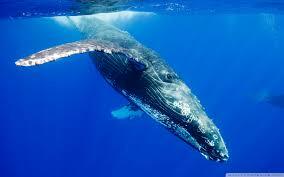 The show was about whales, and how the quickly thinning/melting Arctic ice has affected them (negatively). It really is sad, especially since we’re really the ones causing global warming, not the poor dolphins and sperm whales and other whales. 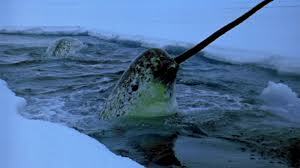 This is a Narwhal, a type of whale that has a long tooth that looks like a horn. 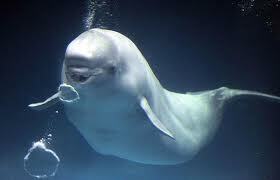 I tried to find the “cute” pictures of these whales, but it’s kinda hard considering that whales are usually covered in barnacles (and who knows what else), and you have to admit that whales are usually not very attractive on the whole (though dolphins are adorable). -Adding too much water to our oceans: it is predicted that if the patterns keep up, in around 30 years, Manhattan will be submerged. 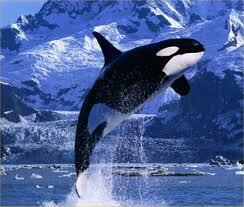 -Taking away the habitats of animals like polar bears. -Allowing predators like killer whales to come into the once safe homes of other creatures, and decreasing the prey’s numbers. When I heard this, I was shocked. The panel scientists, however, really only care about finding out more about their whales. I could tell. And here’s my secret: those three bullet points came from research, not the event. 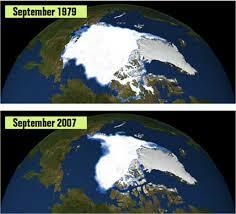 The Arctic ice has been thinning and dramatically decreasing for a long time now. This is caused by global warming. 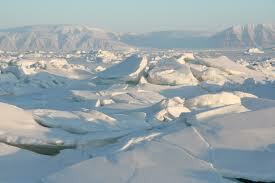 Ice is cracking and breaking everywhere across the Arctic circle. P.S. I know this is my second post today, but the whale issue made me so frantic and sad that I just had to post this little “article”. Enter your email address to follow my blog and receive notifications of new posts by email. Don't worry: I am unable to even view the email addresses of my followers, let alone share them, so you don't have anything to stop you!